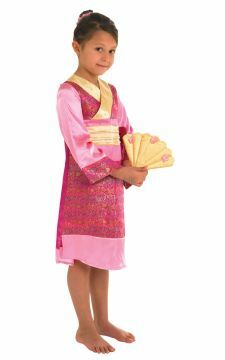 For a theme night, party dress or family celebration, little girls will love this elegant Oriental dress. Richly patterned and finished with faux silk bands, it comes complete with matching fan and a scrunchie to gather up your hair. Includes dress, fan and scrunchie.